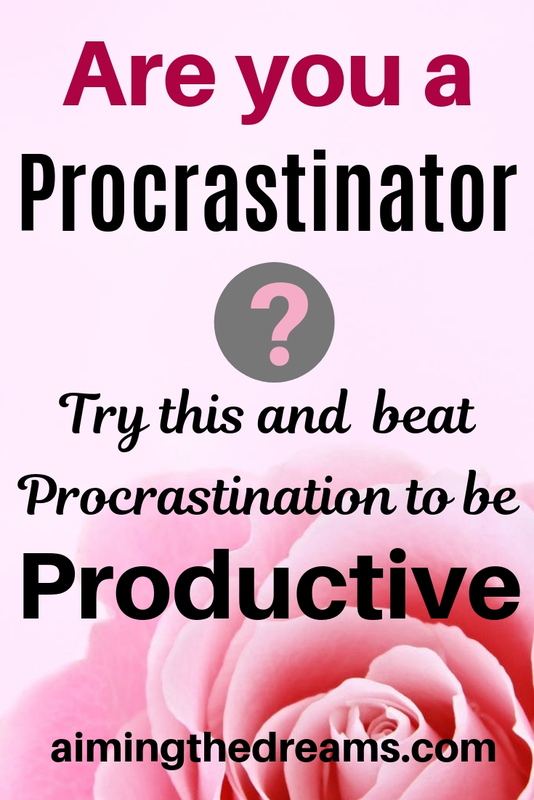 There is a little procrastinator in all of us. Have you noticed you sit down to do something important ( not so good task ) but ended up doing something else ( not so important) which your mind loves. This is really one type of procrastination I find myself in and there are other types too. The only cure for this is mindfulness. 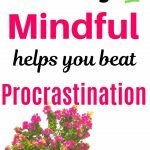 Being present in your now and being mindful of what you are doing is the key to beat procrastination. Why we procrastinate and from where it originates ? Researchers have found that those who procrastinate have larger amygdala : an almond shaped part of brain in temporal lobe which processes emotions and control motivation , according to a report in BBC. According to Prof. Tim Pychyl from Carlton University, Ottawa, who is studying Procrastination for past decade, it is the problem managing emotion rather than time. It is the feeling which arises when you are about to start a worthwhile task and your brain start feeling anxious, boredom or overwhelm . Our brains feels the pain and want to avoid the actual activity causing theses feelings. Instead of doing that important task, you start doing those tasks that our brain feels good about. The most important part in managing this emotion is to recognise it. When we know that how we are feeling about the particular action, only then we will be able to manage the feeling and emotions which let us procrastinate. The dictionary definition of mindfulness says, it is a mental state achieved by focusing one’s awareness on the present moment, while calmly acknowledging and accepting one’s feelings, thoughts and bodily sensations used as a therapeutic tactic. 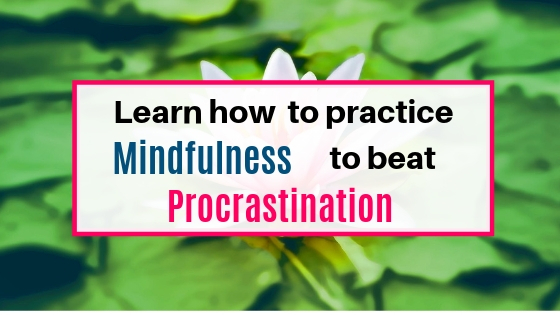 Mindfulness helps because procrastination originates in the head ( brain ). If the origin point of the problem is in brain then its cure should also be there. Our habit of procrastination starts healing from our brains. 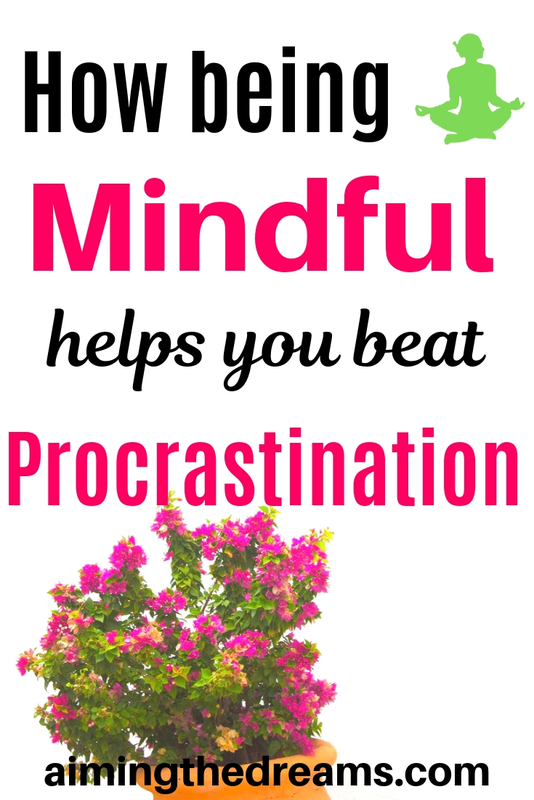 Being mindful is that one trick which can help in dealing with procrastination. Researches have proved that mindfull medittion helps in shrinking of amygdala. Dr. Tim Pychyl says that it is a good sign because procrastination is related to this part of brain. The most important task for overcoming your procrastination is to feel the emotions and feelings when you want to put off that important task. There is always a thin line between how you are feeling and what you want to feel about the task. There are always two ways of thinking. One originates from the unintentional side of your subconscious and the other originates from the intentional logical and thinking of your conscious mind. When you learn to recognise the thoughts, it will become easy for you to become aware of your habit how you respond to the decision of starting a task. This is the hardest part. Recognising that you are a procrastinator is not easy. But realising how you feel about the tasks will let you shift your working habits. This is of utter importance to feel your now. Because if you not feel your now, you won’t be able to concentrate , how you feel while starting a task. Put a timer on and sit for say five minutes and feel the feelings inside you. Watch your thoughts come and go. Don’t be judgemental about those thoughts. Just watch them. Thoughts will pop up and go. Gradually you will start feeling how not to respond to every thought. Instead you will learn to act deliberately on what you want to do. With the practice, you will be able to discipline yourself to react to those thoughts that are focused on taking action. You know what is the most important effect of taking action now is ? Your task will feel easier once you start and then from there you can continue. Once we begin a task, no matter how dreaded, our perceptions of the task change ….we don’t appraise the task as quite so stressful or difficult once we get started. Starting is everything. I know you will think this one is everywhere. Everybody states to create a list. This is because it is most important in tackling procrastination. Create a list of what you need to do and what you want to do. Then write down the importance of both the tasks. What you will achieve after doing those tasks. Take action depending on those actions. And if you are going to start a task, think about it. What you are feeling now about the task. Are you thinking bit anxious or happy ? Are you in a state of starting a task or you want to do something else? Write down and this will give you a clear picture of how you feel about your task. Both of these lists are important. If you want to do some thing else rather than the most important task, you are procrastinating. Meditation help you in calming your mind. It helps in controlling your thoughts and teach you to be mindful. Being mindful of whatever you do and think, takes practice. And with meditation, you learn the skill. Please share this post if you like it. I will be really thankful to you for this.